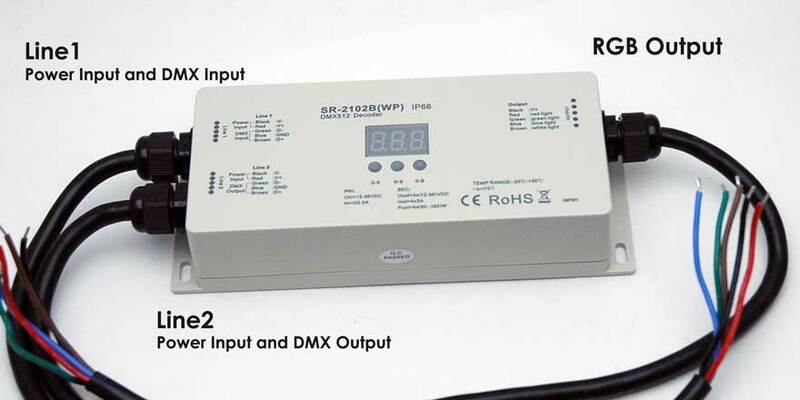 The H-2102B(W) is an Indoor/Outdoor standard 4 channel DMX512 decoder with water-resistant enclosure for damp environment. 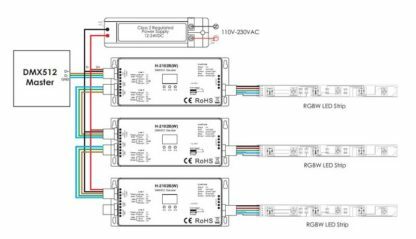 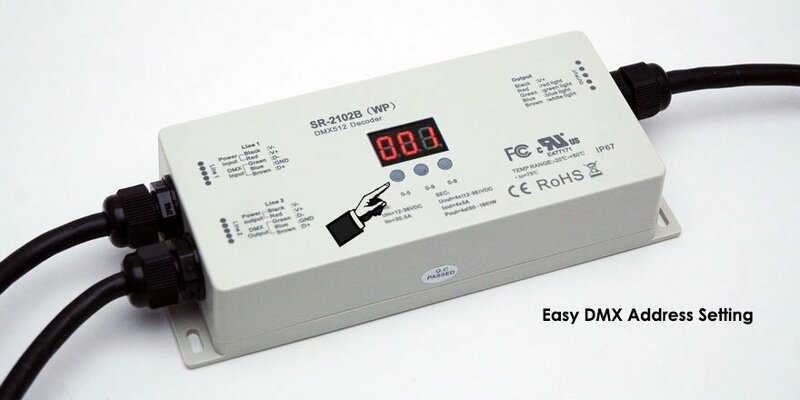 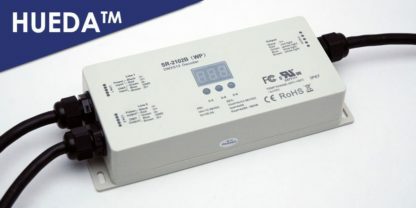 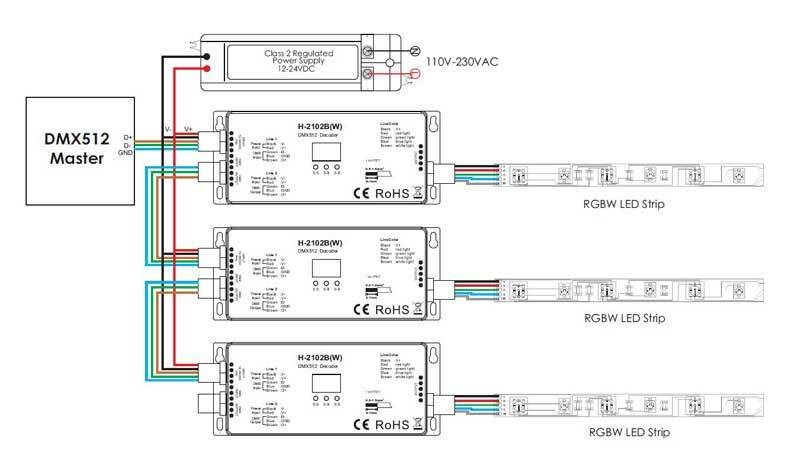 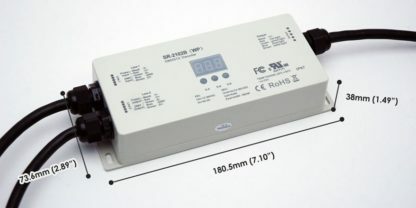 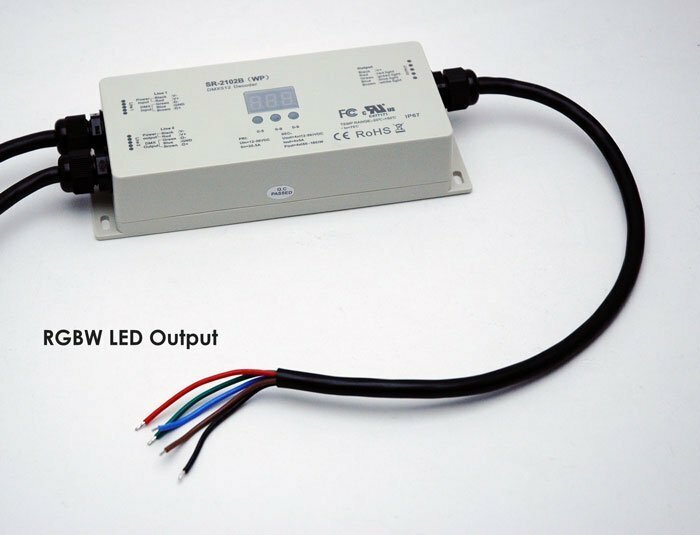 The constant voltage (12-24VDC) decoder works with LED Worlds RGB and RGBW LED strips for muti color changing options. 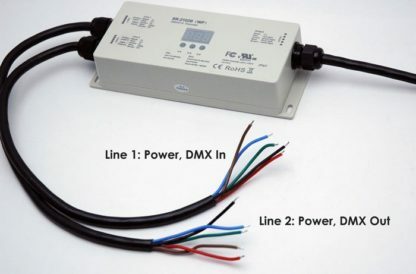 The DMX address is displayed VIA the numeric digital display and the DMX address is easily set VIA three on board push buttons.